Search the Spokane Daily Chronicle Online-Free! A friend recently brought to my attention that Google has digitized and made searchable the Spokane Daily Chronicle and its predecessor, the Spokane Falls Daily Chronicle as well as the more recent Spokesman Review from approximately 1890-date. The method of finding the search is difficult, which is probably why it has remained unknown for so long. Although you can find articles and view them on Google, in order to get a physical copy you would need to come to the library or contact us with a citation, which is available at the top of the page. The way to get to the search is as follows: First, go to Google and click on News. Then click advanced news search (to the right of Search the Web). On that page, click archive search, then click advanced archive search. One last thing, make sure you enter “Spokane” in the source box to get only local searches. If you are from out of town and need a lookup contact us at telref@spokanelibrary.org. Happy searching! Would you like to have a vendor/exhibit table at the Washington State Genealogical Society's 2009 State Conference, held September 11 - 13 at The Davenport Hotel in Spokane, Washington? Vendor tables are available for Friday, September 11th and Saturday, September 12th (no vending will take place Sunday, as the conference will end that morning after Megan Smolenyak Smolenyak's last presention). Please contact Miriam Robbins Midkiff by e-mail if your organization, society, or business (large or small) is interested in having one or more vendor tables. You will receive details, prices, and contract information from her. Additionally, your organization, society, or business will be highlighted on this blog in advance of the conference, affording you free publicity! If you are attending the Washington State Genealogical Society's 2009 State Conference and have not yet registered, please do so ASAP! The earlier you register, the better your chances of getting sessions of your choosing. Plus it makes it easier on the event organizers so they have time for the planning they need. People typically tend to register last minute, and that puts a lot of work and stress on the committee's shoulders. We want this to be a smooth, enjoyable event for all! For your convenience, we offer several registration and payment options. You can register by mail or online; you can pay by check (mail) or online (debit or credit cards through Paypal). Click on the links below. WSGS and EWGS... What Are They?? Since the Eastern Washington Genealogical Society is hosting the Washington State Genealogical Society's 2009 State Conference in Spokane this upcoming 11-13 September at the historic Davenport Hotel, I thought you might like to know a smidgen more about these two organizations. The Eastern Washington State Genealogical Society was founded in 1935 with six interested people and a handful of books. In 2005, EWGS celebrated its 70th anniversary, now counting 270 folks and partnered with the Spokane Public Library to house a collection numbering over a thousand items, which includes printed, microfilmed, and digital material. EWGS plans ten monthly meetings per year and two (spring/fall) workshops or seminars. EWGS provides free to its members free computer classes and several spin-off classes like the Legacy and RootsMagic Users' Groups. The Washington State Genealogical Society was founded in 1983 with the goals of mentoring and providing educational opportunities to genealogical societies and their members in Washington State. Click on the link in to read the WSGS mission statement and list of “purposes” at the WSGS website. There have been many good reasons to join WSGS and in the near future you'll see a new list of great reasons for you to join WSGS. Both of these groups exist for YOU, to help YOU, to teach YOU. The annual conference is a prime example of the opportunities WSGS affords us. If you're not registered for the conference, it's not too late. Click on the links below. Freebies, Goodies...All In the Bag! Do you like free? (Hasn't Donna always taught you that if it's free, take two?) Well, do we have some freebies lined up for conference goers in September! There will be the usual fliers and coupons, pencils and tablets, but there will also be a free issue of Discovering Family History magazine and a free little gift from FamilySearch. Oh, and the bags are special...donated by Albertsons grocery. Our committee has been busy soliciting, begging, and buying and our WSGS conference goodie bags will be the best ever!! Only one to a conference registrant, so get registered now!! Friday night: "Cases That Made My Brain Hurt"
Sunday morning: "Newspaper Research Online"
Megan explained that by doing this re-shuffling, we are really getting five presentations instead of just four, for she's combined her two DNA talks into one and so has given us a bonus for Friday night. Lucky us! Lucky those who come to hear her!! Lee Pierce, MA, is the Assistant Archivist of the Washington State Archives, Eastern Regional Branch in Cheney, Washington. While the Eastern Regional Archives is well known for housing the Washington State Digital Archives, there's plenty more to discover in the printed records! The Eastern Regional Branch stores the archives of 11 Eastern Washington counties: Adams, Asotin, Columbia, Ferry, Garfield, Lincoln, Pend Oreille, Spokane, Stevens, Walla Walla, and Whitman. Come learn what's available and how to access them! (A tour of the archives is one of the Friday afternoon choices, available for $20. You can sign up when you register for the conference--links at the bottom of this article). Karen Kramer Struve is a member of the Northeast Washington Genealogical Society and the Eastern Washington Genealogical Society, and makes regular presentations in the area to various genealogical groups. Karen will demonstrate how to find graves, cemeteries, and burials online, as well as explain how to find these records offline as well. A good choice no matter in what state (or country) your ancestors are buried! Steve Baylor is the Past President of the Washington State Genealogical Society. Many societies are growing concerned with the lack of membership and wonder how they can compete with the genealogical resources available on the Internet. Steve brings his unique perspective on this topic. If you want to learn how to keep your society current in a digital age, this session is for you! 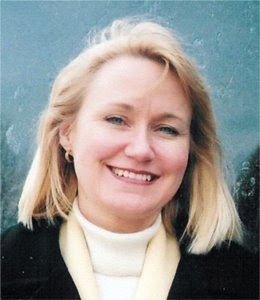 Susan Davis Faulkner is a member of the Tri-City Genealogical Society and the author of Early Pasco (to be released by Arcadia Publishing in August 2009). She is also the webmaster of the Washington GenWeb sites for Benton and Franklin Counties. Susan takes us through the process from researching a town to writing a book, advice and skills useful in any genealogical project! Don't these presentations sound interesting? No matter which choice you make for Session D, I'm sure your mind will be reeling with all the information and knowledge you soak in by the end of this busy, educational day! Jerry Handfield is our Washington State Archivist, with over 25 years' experience in archives, history, and records management (read more about him here). He will be sharing the wealth of information available at our State Archives (physical records) and at our acclaimed Digital Archives (electronic records). If you've got Washington State ancestors, this is a must-attend session. Bruce Buzbee is the creator and developer of the RootsMagic genealogy software. This program is described as "the easiest-to-use family tree software available for Windows Vista, XP, and 2000, yet is also one of the most powerful." Bruce will be highlighting the features of the newly-released version 4. If you are looking for a quality program, or are merely curious about this software, you'll be sure to want to attend and ask your questions. Bruce will also be exhibiting his program in the vendor area. Barbara Brazington is an active member of the Eastern Washington Genealogical Society. This year's EWGS's Distinguished Service Member, she is the society's Assistant Librarian and Aquisitions chair. She explores how genealogy was mis-used during the rise of eugenics ("the self-direction of human evolution") in the early 20th century. Could this happen again? Come find out! Carol Medeiros is a board member of the Washington State Genealogical Society. Wouldn't be fantastic if you could have a personal atlas of maps and gazetteers of all your ancestral locations at your very fingertips? Carole will explain exactly how to create a desktop atlas using your personal computer. Improve your technological skills and expand your genealogical resources through this presentation! Decisions, decisions, decisions! Which one of these fantastic presentations will YOU choose to attend during Session C? CCC in the Pacific Northwest by Dale Soden, Ph.D.
Dale Soden is a history professor at Whitworth University in Spokane, Washington as well as an author of several books. The Civilian Conservation Corps was very active in the Pacific Northwest during the Great Depression, and Dr. Soden will be giving an informative presentation on this chapter of our history. Did you have an ancestor or relative who served in the CCC? Gordy Struve is a member of the Northeast Washington Genealogical Society and the Eastern Washington Genealogical Society. He will be telling us all about his fun, new genealogical toy/tool, the iPAQ, a personal digital assistant and pocket PC! Come find out how it can be used to improve your genealogical life! Lois Thomason is a member of the Eastern Washington Genealogical Society. Did you know that Washington State and other Pacific Northwest states were destinations for many immigrants from Norway, Sweden, and Denmark? Drawing on her own personal research experience, Lois will help you find out what genealogy resources are available for your Scandinavian ancestors and where to locate the records. Sue Richart is another member of the Eastern Washington Genealogical Society, as well as a member of the New England Historic and Genealogical Society. She will be doing her presentation on the wonderful databases available on the NEHGS subscription website. Founded in 1847, more and more of NEHGS's collection is going online. So there you have it, ladies and gentlemen, four more terrific choices from four fantastic presenters to decide upon for Session B! This last, a three-session class, will help you pick a research project and take you through some Internet resources to help solve the problem. All classes are on Fridays, 10:00 AM to 12:00 PM. Cost is minimal. Watch for these classes listed in the Seniors' Program brochure which will arrive in your mailbox shortly. Then call to register or register online. Hope to see you there! Elyse Doerflinger is a 19-year-old genealogy enthusiast from California who has been making how-to genealogy videos on YouTube for several years and just started a genealogy blog last year. This past week, she wrote an interesting post on her blog, entitled Genealogy Societies Need to Look Toward the Future. She received so many comments that she had to write a follow-up post. Elyse makes some very valid points about the need for societies to embrace and welcome young people, to mentor them in research skills and to learn technology skills from them. I don't know about you, but this 42-year-old genealogist expects to keep on researching for another 40 or 50 years. However...I certainly hope that EWGS and all the other societies I belong to are still around in the year 2051 or later, and that they will not die off with this generation of members. I hope that I will learn to accept new things as they come in the future to keep this society alive and vibrant. Did you realize that we have a member of our very own society who is in elementary school? If you haven't met Terri Rehmann's daughter, Elizabeth, you're in for a treat! For the sake of all the Elyses and Elizabeths out there, I hope you'll read Elyse's posts (and the comments) and take them to heart. What can we learn from this? What are we doing well? Where can we improve? Please leave your comments below. Scenes from Washington by Dale Soden, Ph.D. So who are these presenters, and what more can you find out about their presentations? Dale Soden is a history professor at Whitworth University in Spokane, Washington as well as an author of several books. His personal page on Whitworth's website gives his educational background as well as a description of his writings. His insight into the background of Washington will be fascinating. Margie Beldin is a vital member of the Tri-City Genealogical Society in Richland, Washington who is well-known in the Inland Northwest for her variety of genealogical presentations. She'll be delving into the goodies at FamilySearch with Wikis, Labs, and Resources, Oh My! Pat Bayonne-Johnson has been researching her African roots for many years. She is an board member of the Eastern Washington Genealogical Society and has served on the board of the African American Genealogical Society of Northern California. Her presentation will inform the audience of what resources are available for Black genealogy in the Pacific Northwest, and where they can be found. Jerri McCoy is a board member of the Washington State Genealogical Society, the WSGS website webmaster, and the coordinator of the Thurston County, Washington GenWeb website. Her vast experience with Internet genealogical research will come in handy as she explains how to find and use online query databases. With such fantastic presenters and topics, it makes it kind of hard to choose, doesn't it! Better be quick...these sessions will fill up fast! The theme of this year's Spokane Interstate Fair is "We Have Something to Crow About," and they certainly do. Besides the you-will-have-to-walk-miles-to-see-it-all exhibits and animals, there will be a huge amusement carnival and a low-calorie (so I'm told) food fair. (Are elephant ears edible? Do they have calories?) The fair runs from September 11th through the entire next week but for the non-genealogist-companions of the WSGS conference goers, this will be a really fun thing to do. On both Friday and Saturday evenings at 7:00 PM (September 11 and 12) there will be the N.P.R.C. Rodeo to attend!!! In a previous post, Charles Hansen outlined some of the other things non-genealogist-companions (NGCs ??) can do...like visit Spokane's many antique shops, ride the historic Looff Carousel, feed the ducks in Riverfront Park or just plain go shopping at Auntie's Bookstore. So you dedicated genealogists, bring these NGCs along in September when YOU come to the WSGS conference. They will be happily out of your hair while you're indulging in your thing. If you are a RootsMagic user, or are simply curious about this genealogy software program, you may be interested in the RootsMagic Users Group, which meets at 7 PM on the third Thursday of each month at the LDS Church at 808 E. Sitka (this month's meeting is on July 16th). Lew and Trudy Lundy lead this group. For more information, e-mail them here. The upcoming Washington State Genealogical Society's state conference (11-13 September 2009 at the Davenport Hotel) will offer you more classes and more learning opportunities than you'll have time to take! Susan Gallyon Dechant (member of the Northeast Washington Genealogical Society in Colville) is presenting the free-to-the-public Beginners' Classes at the downtown Spokane Public Library on Friday morning. The first session is 10:15 AM to 11:15 AM and then repeats from 11:30 AM to 12:30 PM. Then Friday afternoon at 1:00 PM at the Davenport, three off-site tours will leave. One will go by bus out to Cheney and the Eastern Washington Branch of the Washington State Archives and the Washington State Digital Archives. One will go the shorter distance to the Northwest Museum of Arts and Culture, the Campbell House (for a private tour; public tours no longer available) and the Eastern Washington Historical Society library for tours. Your third choice is to visit historical structures in downtown Spokane by strolling down to the old-and-wonderfully-updated-and-renamed Bing Crosby Theater (formerly known as the Metropolitan Performing Arts Center) and then returning to the Davenport Hotel for a guided tour there. Saturday is the main day of the conference and you will have to choose from among four classes each hour...for four sessions...which means there will be 16 classes to choose from! (Thank goodness each presenter will be submitting material for the conference syllabus!!) Look for more information on the classes and presenters in coming days on this blog. Classes, classes, everywhere classes...while you cannot do them all, you cannot do any of them if you don't register for this wonderful conference. Click the link below so you can come and stuff your head full of genealogical learning. What a story! Megan Smolenyak found her husband in the form of a not-related-person of the same most unusual surname: Smolenyak. Hard to believe, but true! Megan Smolenyak Smolenyak will be the main speaker at the upcoming 11-13 September 2009 WSGS (hosted by EWGS) conference to be held at the historic Davenport Hotel. It was 105 years ago in September that the Davenport Hotel opened its doors. 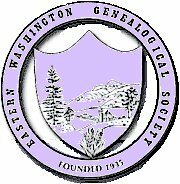 The Washington State Genealogical Society and Eastern Washington Genealogical Society are proud to be hosting the WSGS annual conference this September at the Davenport. How fitting! The Davenport was the first hotel with air conditioning, a central vacuum system, housekeeping carts (designed by Louis Davenport himself), accordion ballroom doors and the famous Crab Louis (named for Louis Davenport and first served at the hotel dining room). The hotel cost nearly $3 million to build (think of this in 1914 dollars!!) and Walt and Karen Worthy spent many millions in the last decade restoring the hotel to its 1914 glory. See photos and a virtual tour here. Lewellyn "Louis" Davenport came to Spokane Falls, Washington Territory, in the spring of 1889 at the age of 20. He came up to work in his uncle's restaurant. That year in August the Big Spokane Fire consumed 32 blocks of downtown Spokane. Young Davenport, ever the visionary, bought a tent and opened "Davenport's Waffle Foundry" and thus the hotel and a legend were born. Why the Davenport for the 2009 State Conference? The Davenport Hotel was the birthplace of Eastern Washington Genealogical Society. On January 31, 1935, after three years of planning, 31 individuals met on the mezzanine of the Davenport and elected the first officers of EWGS! We conference goers look forward to four wonderful meals at the Davenport: Friday dinner, Saturday breakfast and lunch, and Sunday breakfast. They will be wonderful; the ghost of Louis Davenport guarantees it. Are YOU registered for this wonderful conference at the historic Davenport Hotel? Click the link below and take care of that bit of business right now! I said in a previous post there are many restaurants close to the Davenport Hotel and even though some of the meals are included in the cost, Yahoo says there are 88 restaurants within walking distance to the Davenport. Only the first 45 were rated three or more stars. See more fine dining, other activities and facilities at the Experience Spokane website or visit the Davenport District Restaurants.